Michelle Bachmann’s Call to Action – Make a House Call on Congress! 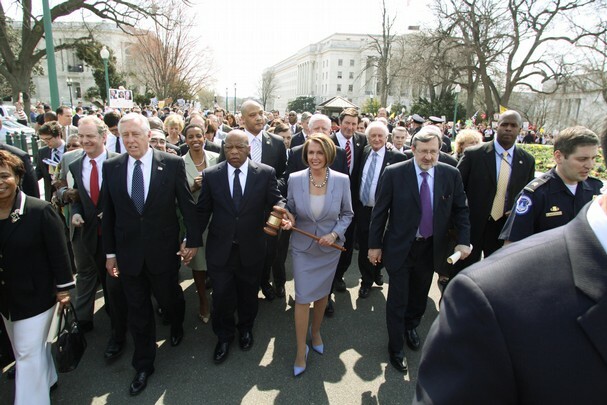 Noon, Thursday, November 5th, 2009, Capitol Hill Steps. Make a House Call on Congress on November 5th and Stop the Government Take Over of Health Care! Democrat leadership in the House wants to pass a government run health care bill before Veteran’s Day, and it’s up to us to make sure this prescription for socialized medicine doesn’t pass. If you can come to Washington to look your Member straight in the eye and tell them to keep their hands off your heatlh care, do it. If you can’t make it to Washington, go to your Member’s district office. And, if you can’t do that at least call and email. Also, Americans for Prosperity is organizing a House Call to legislators district offices on Thursday at noon, and I encourage you to check out their website at http://www.americansforprosperity.org to see how you can take part in their efforts if you can’t make it to D.C. Thanks so much and let’s keep up the fight! You can follow her on Twitter @BachmannforMN6 and visit her website for updates and more information. Experience…Waking the Giant: A Letter to a Representative, shared by a friend. To get you in the mood….as this always stirs my patriotic heart….have you written your congressman today? I hear my friend sing, how about you ?! This is a copy of a letter my friend wrote that went to MY Rep, I hope you’re as lucky in your CD 🙂 Get inspired and share with your friends too….. I am writing to you with great concern as I watch the Obama Administration embark on a course of action that I believe will erode our freedoms, weaken our national security and bankrupt the nation both financially and morally. My concern is compounded knowing that the 111th Congress has lost sight of the fact that they work for us (I am reminded of what 111 means in bowling). The Executive Branch is attempting to become more powerful than it has ever been, or designed to be. The President is surrounding himself with people of questionable backgrounds who have clearly made alarming statements that confirm their dangerous beliefs. Some are admitted Socialists, some are Marxists, most are Anti-Capitalists and a few have absolutely no regard for the sanctity of life young or old. These so-called Czars have an agenda that is frightening not only to me but also to every one of my friends. I find it hard to believe that this blatant attempt to empower the Executive Branch and upset the balance of power has not been openly challenged by you or any of your colleges. This should be an enormous “red flag,” one that needs to be put at half mast. Tort Reform. Many Lawsuits are generated as a result of mistakes made by Interns and Resident doctors who are working 36-hour shifts trying to meet the demands of an already over-burdened healthcare system. And the President wants to add 47M people. Competition. There needs to be competition across State lines. The American Public should be able to get Insurance coverage wherever they can find it, and at competitive costs. Fraud. The Healthcare system is infected with fraud. One example that is all too common results when Doctors in the same clinic stick their head in the door and saying hello. Their unannounced and unnecessary visit ends up on the bill. The false charges in Medicare bills are notorious. Nuisance Fee. There ought to be a nuisance fee every time anyone visits a doctor’s office or clinic, and for any reason. All too many people go to the doctor when they don’t need to be there. Twenty-five to fifty dollars out of pocket for each visit would certainly help to relieve an already overburdened system. Exemptions. If a young healthy individual doesn’t want coverage let them sign a waiver. If, for some reason, they need an expensive procedure or operation then provide a low interest government loan similar to the education loans. Non-Exemptions. All politicians SHALL be required to use the Health Plan they pass. The plan shall not include any special provisions or wording that would allow the politicians to have any type of health coverage not offered to every citizen. Single Payer. The idea that the Government could possibly run an effective and efficient healthcare program is ludicrous. I will gladly support it when the Post Office shows a profit. Diet and exercise. Bring “dodge ball” back. Healthcare is not a short-term fix. It needs to start at a young age. Exercise and proper nutrition needs to be taught at an early age. It amazes me that so few of our political leaders have read the Healthcare Bill. It even amazes me more that they would admit that they haven’t read it (what was Rep. John Conyers thinking?) I hope that you are not one of them. The negative effects that will result if Cap and Trade is passed. Continued funding of a space program that has met its purpose. What could we possibly gain from going to Mars? The funds and people associated with the space program could be employed to explore ways of neutralizing nuclear waste and perfecting the ability to burn coal cleanly. Our lack of refining capability. I believe there has not been an oil refinery built in the United States since the early 1970’s. The insolvency of the Social Security System. When Chancellor Bismarck created the retirement system in Germany the average life expectancy was 67 years. We adopted the same system using statistics from the 1860’s. Obviously the easy fix would be to raise the age of initial eligibility to at least 70. The lack of any bi-partisan cooperation in both the House and Senate. It is easy to say during the campaign. Neither party has ever delivered. The whole issue of Globalization. I could care less if the rest of the world eats, drinks or is merry. And I certainly could care less if they like us. I want them to respect us. The preoccupation with the “Separation of Church and State”. Read both paragraphs of Thomas Jefferson’s letter to Danbury. Only a fool would come to a conclusion that this country wasn’t founded by men with strong Christian principles. Have you ever read the inscriptions on the buildings and monuments in Washington, DC? You take out the Ten Commandments and then wonder why some kid kills his classmates. Take a good hard look at the educational statistics in this country after prayer was taken out of the school environment. The abortion of nearly fifty million innocent babies. The fact that we have lost so many potential tax payers is only exceeded by the unconscionable moral decay that will undoubtedly destroy America. As you continue to represent the state of Virginia I hope that you will not forget your pledge to uphold the Constitution as it is written. I have been to many countries and none can compare with the United States of America. Don’t let us become a third world Socialist nation. You may not be convinced that there is an underling grass roots movement that could affect the next round of elections, but let me assure you that there definitely is. The “tea parties” are only the beginning. I may not be able to convince you, but quite frankly I don’t have to. The only thing I have to do is convince just one Democrat. Comments Off on Experience…Waking the Giant: A Letter to a Representative, shared by a friend. Steven Crowder ~ Underground Liberal ! Craigslist running ads for Obamacare jobs, Steven applies…..
And you think your donations are actually saving the whales……lol. Comments Off on Steven Crowder ~ Underground Liberal ! 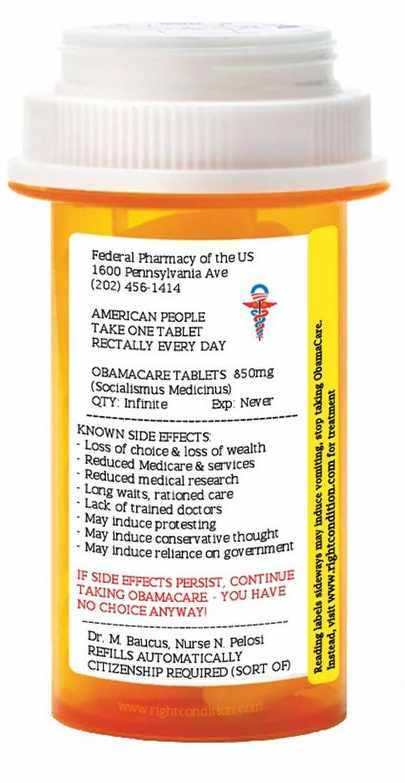 Shhhhh…WH.gov translation of “obamacare”..before they shutdown the CIA ! Comments Off on Shhhhh…WH.gov translation of “obamacare”..before they shutdown the CIA !